Denny Jump (Bellevue, WA, United States) on 24 April 2014 in Animal & Insect. At the San Francisco Bay Aquarium, Saturday March 29, 2014. These beautiful Jellyfish were amazing to watch. Stunning ! Did you get these magnificent colours only with the phone or through a special post treatment? Wow, this is a stunning shot Denny! Absolutely beautiful. A gorgeous capture. I love those colors. @Steve Rice: Thanks so much, Steve- those colors were just amazing at the aquarium. They had this display really set up nicely. Really nice! Great colors and composition. I love photographing jellyfish when I go to the aquarium, but I don't know that I have one to match this. Good work! Nicely captured, Denny. Beautiful light and movement and color. Wow! This is fantastic Denny! Gorgeous color! 5*s! Light is awesome and rare in such circumstances, seems like light bulbs floating, excellent composition ! 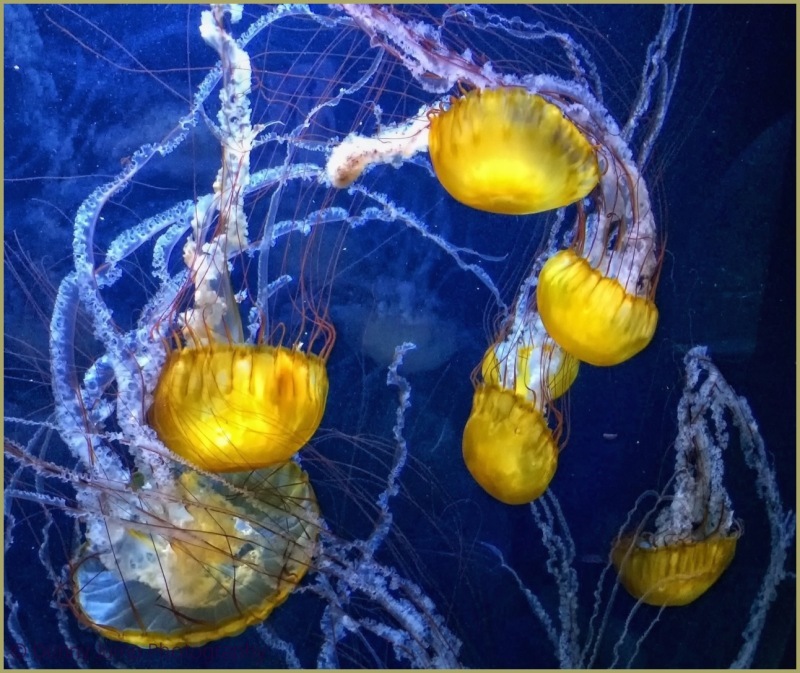 the jellyfish look amazing in their golden colours, especially set aside the blue of the water! fantastic capture!